Offering a unique collection of handcrafted art, jewelry, pottery, photography & more, all inspired by our love of nature, animals, and the mountains. Discover many one-of-a-kind unexpected treasures…always excitingly new & different. As the arts leader in Haywood County, the Haywood County Arts Council (HCAC) is a nonprofit agency dedicated to community art involvement. We support artists and arts organizations through education, advocacy, partnerships, and arts driven economic development. 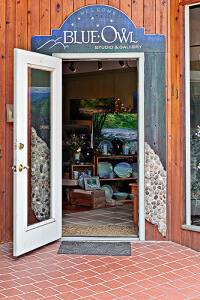 The HCAC Gallery & Gifts hosts rotating exhibits and hosts a dedicated retail space year-round. 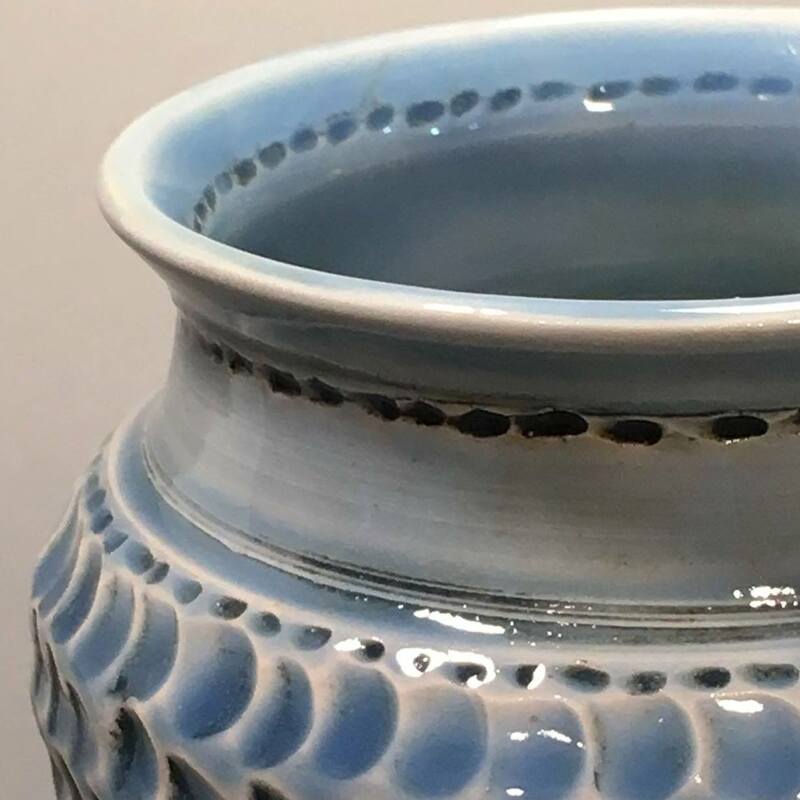 Our Summerhouse Pottery was created to offer unique lines of functional pottery that feel nostalgic, vintage, and bring back warm memories of home. We also offer classes and events for all ages as well as summer pottery camps for children and teens. The Jeweler’s Workbench specializes in unique handcrafted jewelry, limited edition watches, kinetic art and other artistic gifts and treasures. 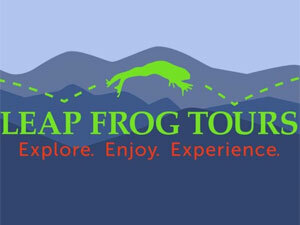 Featuring over 50 artists from the Great Smoky Mountain region and from across the country. We offer on-site repairs and custom design and work. Colored pencil drawings of NC scenery and landmarks by Teresa Pennington. Originals, prints, unique home décor, custom framing, and gifts. 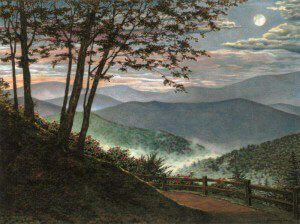 Collectible series of Teresa’s art include the Blue Ridge Parkway and the Biltmore Estate. 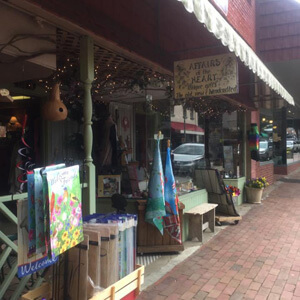 Stroll down Main Street in Waynesville and you will find a unique gallery where art dances with nature. Browse through an unforgettable collection of nature-inspired works by 140 primarily regional artists and crafts persons. Take home a memory reflecting the breathtaking Smoky Mountains – a piece of art that echoes the wonder of nature. Visit our underground retail wine and craft beer shop, restaurant, and intimate live music venue that presents local, regional, or national talent each Friday and Saturday night at 7pm. Enjoy freshly prepared small plate and tapas cuisine Wednesday through Saturday starting at 5:30pm. Arts, entertainment, and cultural venue. FREE Kid's Movies every Saturday at 11am! A small movie theater and music hall offering an ever-changing mix of movies. Movie concessions are available in the front on Main St., featuring fresh popcorn, locally made artisan soda & ice cream, coffeehouse drinks, craft beer, and more. 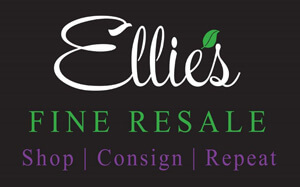 Ellie’s Fine Resale is a small consignment boutique with big style and affordable fashion. 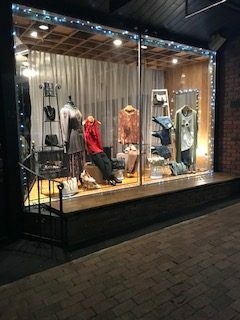 At Ellie’s you’ll find upscale apparel, handbags, accessories, and gift items. We have something for everyone so, come see Babs at Ellie’s for your favorite finds. Ladies new and pre-loved apparel. 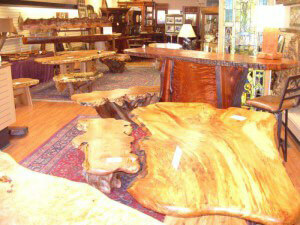 We turn Salvaged American Burled Woods in to Live Edge Art for your home. 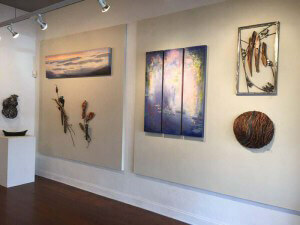 Come peruse the fine selections in our gallery. Bring your ideas and we will make them come true with Custom Designs, just for YOU! We do it from TREE to TABLE! Hundreds of tons of wood await your dream design!! Antiques, primitives, florals, decorative accessories. 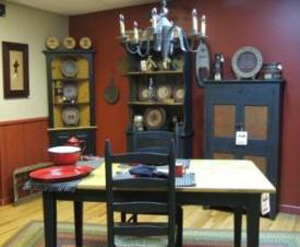 Specializing in antiques and fine home furnishings. Need some bear poop? How about Road Kill Rub? This fun and eclectic shop is a great mix of all the things you didn’t know you needed. From the old to the new to the handcrafted, we have greeting cards, candy, jams, flags, mailbox covers, puzzles, jewelry & accessories, musical clocks and so much more! 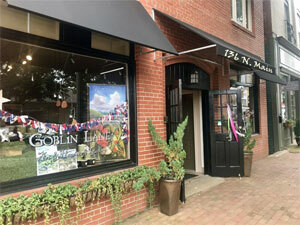 Goblin Lane proudly features all American-made products starting with Western North Carolina. Pottery, jewelry, home accessories, cards and artisan soaps are just a few of the treasures you will find. 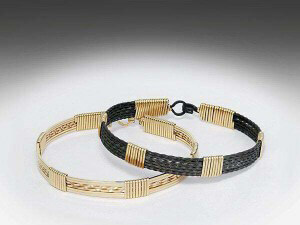 Whether it’s a gift for you, her, him or them, we offer clever and creative items for all occasions. We offer a wonderful selection of handmade goods created by independent and local artisans. 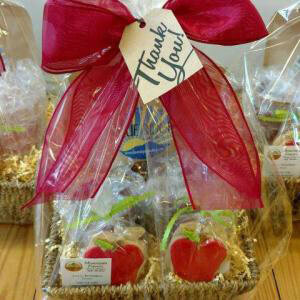 We specialize in gifts baskets for all occasions… pre-made with amazing goodies or hand selected by you for that personal touch. 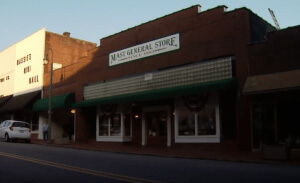 Take a short stroll “off Main” to discover a shopper’s paradise filled with eclectic home and cabin décor. Featuring Park Design, Donna Sharp purses, valances, and quilts plus a large selection of humorous greeting cards. 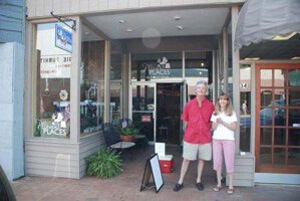 We care a large selection of fine art supplies and we offer art classes. We carry quilts from traditional to contemporary by the top American designers including the complete Donna Sharp line…quilts, throws, shams, valances, pillows, bed skirts, placemats, rugs, and handbags. 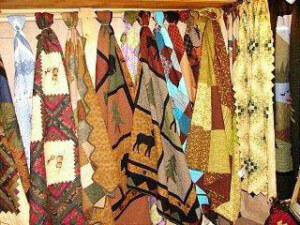 Also locally made quilts, throws, wall hangings, quilt racks, pillows, and handbags. 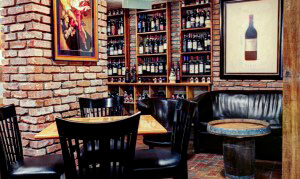 Olde Brick House combines a unique blend of primitive colonial furnishings featuring yesteryear’s simplicity with solid construction. We also offer décor to return treasures from the past to a central place in your home. 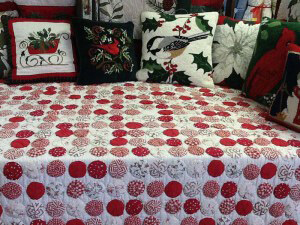 Quilts, candles, black iron, lighting, stitcheries, dolls, barn stars, treenware, florals, linens, braided rugs. Located inside Olde Brick House, the Spice & Tea Pantry features a wide variety of spices; custom spice blends and rubs, unusual salts, gourmet teas, oils, vinegars, and accessories. 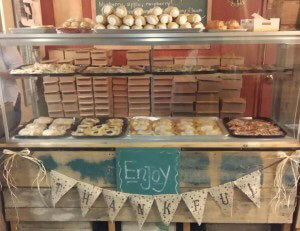 Delight your senses with a visit to the pantry! From outdoor accessories and Corinthian Bells Wind Chimes to quality wild bird seed, feeders and supplies, we’ll help you make your outdoor living a little more relaxing. 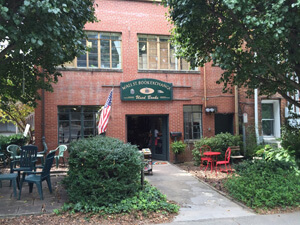 Shop in our relaxed atmosphere in downtown’s own garden accents and wild bird supply store. 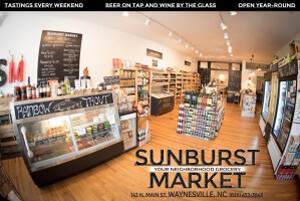 A specialty neighborhood grocery carrying local trout, meats, cheeses & seasonal produce. 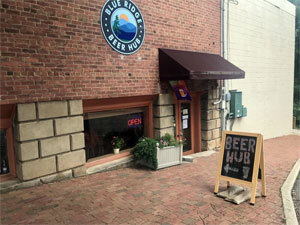 Also available, are craft beers and sustainably farmed wines. Don’t forget to pick up a selection of our all-natural soaps, lotions, candles and cleaning supplies. We are a small used book shop with over 50,000 titles in a wide range of fiction and non-fiction categories. Stop by and explore our shelves and join us for special events throughout the year.